I have to admit that food portions are one of my weaknesses when it comes to losing weight. I don’t like taking the time to measure out my food as I put it on my plate. It is time consuming and a bit frustrating at times. Especially when I am cooking for four, just because I am trying to lose weight does not mean I want to make a meal for my family and a different meal for me. Also when I go out to eat everything is two to three times more then what I am supposed to have. Everyone wants to know if you want fries with that, even when you order a salad. Taking my kids out for food now feels like a walk in a mind field of food I can’t eat. Excuses, I know. I do know that I am not alone with this. Many Canadians eat 2 to 4 times what they should in a day, calories and food portions. I have tried the pre-portioned frozen diet meals. They are so small it’s like a snack at times. I still feel hungry after I eat, not a good thing when trying to lose weight. I quickly realized I could eat more, and better if I made my own meals. 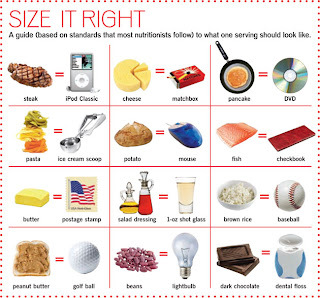 Of course that means measuring portions. Have you ever seen a 6 oz steak at the grocery store? Most meats are sold in much larger portions then what I should be eating. I think my real problem is that once I portion everything out on my plate it looks small. I am already dissatisfied, before I even start. 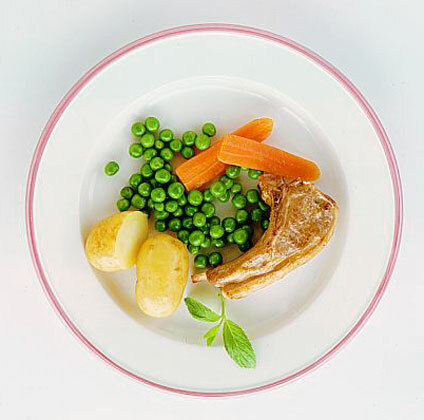 6 oz of meat, ½ a cup of pasta or rice and maybe a cup of vegetables really does not look like much. I love vegetables but when most of the food on your plate is vegetables they kind of loose their appeal. I have some solutions that give me more control, and help me lose weight. When I buy my meat I cut it into about 6 oz portions when I get it home. This way I am not tempted to eat the entire steak. OK, I am tempted but this helps me control what I actually eat. I have been able to get 3 to 4 little 6 oz steaks out of one steak from Locco’s. Mind you they do sell large steaks. This is a good solution for several reasons. I am saving money. I can buy the bigger family packages of meat, usually at a lower price then single steaks. I can cut them into 6 oz pieces and freeze them. Then I just pull out what I need, already portioned. If you do this please use wax paper. Put them on a cookie tray, freeze them and then put them into a freezer bag. Sometimes I freeze the meat with the marinade, or BBQ sauce. This way it marinades itself as it defrosts. Also with the meat already cut into smaller sizes I can give my kids their own steak. They see me pulling out a steak for each of them, not cutting a steak in half and making them share. Same amount of meat, but it makes them feel special because they are not sharing. I completely understand. It is psychological, if I cook a big steak I want to eat a big steak. I feel ripped off if I have to portion it once I cook it. So I pre-portion in advance. I make my own hamburgers and meat balls. This lets me control the fat content, what goes into them and portion size. 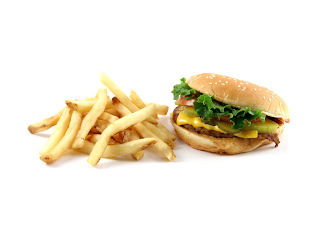 Most premade hamburgers in stores are not 6 oz. I make 6 oz hamburgers and that is what I get. I tend to add vegetables into the hamburger mix, mushrooms, celery, garlic, onions, green peppers, and even zucchini. They are all cut very small. 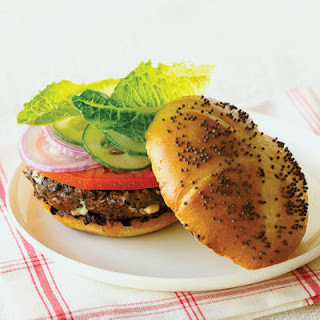 This adds flavor and I can usually make a slightly bigger burger. The trick with 6 oz burgers is to add a lot of healthy toppings, like lettuce, tomato, cucumber, onions and pickles. I know one person who adds sauerkraut and another who like lots of bean sprouts on their burgers. Again my problem is that 6 oz just does not look like much when on a plate. Then I realized I already love a couple of different meals where 6 oz of meat does not look small. And I feel full and satisfied when I am done a bonus when you are trying to lose weight. Stir fry – I make up the vegetables and meat. I make sure there is 6 oz of meat for each person. That way I only have to divide the meat evenly to get the right portion. Sometimes I will cook the meat separate from the vegetables. I will make two cups of rice. Each person gets about ½ a cup on the plate. I place the vegetables on the rice. If I cooked the meat separate I will usually place it on top of the vegetables. However, it looks like more when you mix the vegetables and meat together. There is a huge variety of flavors I can get out of this basic meal. It depends on the meat, sauces and even what vegetables I use. I can mix and match and have completely different meals every day. Especially if I change between rice, pasta and potatoes each time. 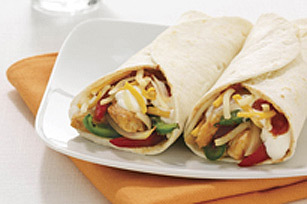 Wraps – I will make hot and cold wraps. 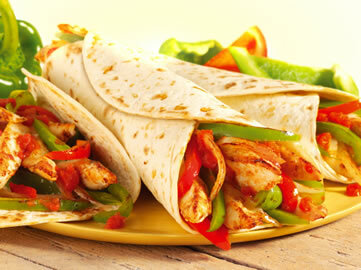 Hot ones will usually have rice, cooked vegetables and meat cooked in small pieces, or cut up into chunks or slices. This is a great way to make limited portions into a meal. I will put rice on then meat and vegetables, sometimes cheese and then roll it up like fajitas. This is a great way to have a full meal. 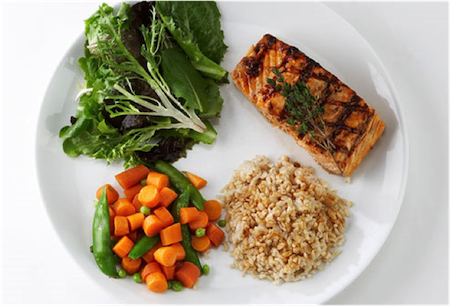 They are easy to change up by changing the meat, vegetables and spices or sauces I use. 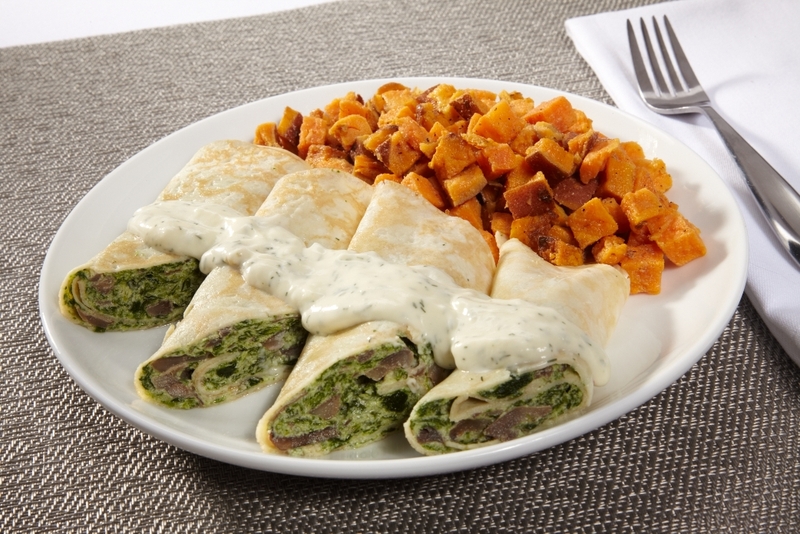 I could have very different hot wraps almost every day of the week. Cold wraps and sandwiches usually have sandwich meat or thin pieces of cooked meat. This is great with ham or chicken leftovers. The trick with this is to use a nice mix of vegetables cut up small. The lettuce I cut into thin strips. They kind of fluff up and give the wrap some volume, much more than if I just put a piece of lettuce on it. Volume is good when you are eating to lose weight. It helps make you feel full and satisfied. I cut the tomato into little squares or chunks. Everything else I tend to cut into strips, sort of how they cut vegetables for sushi rolls. This way it is easier to wrap, but I still have a lot of vegetables. I like putting on red onions, cucumber and lettuce. I could try mushrooms, bean sprouts and other vegetables, but I have to admit I like the wraps I make and don’t really feel like changing them up much. Sometimes I have cheese, sometimes I don’t. I can have a lot of variety depending on the meat, how I cooked it, the sauces and spices I use. Even the sauces I put on the wrap or bread makes a difference. I like using diet salad dressing instead of Mayo, because it adds flavor. Soups and stews are a great way to also get more of a meal from smaller portions. I am not that fond of soups and stews, so I don’t make them very often. But I love Vietnamese Beef Noodle soup, a good way to get more out of a little meat. Not always a good choice when trying to lose weight, the noodles are not my friend. But I can still enjoy Vietnamese Beef Noodle soup as long as I don’t have it all the time. Chili on the other hand we make all the time. I have to keep in mind how much meat I put in and then figure out how much I can eat. I do try to put more vegetables like beans and tomato’s into the chili. This gives me a larger portion to eat. Sometimes I will put it over rice, or potato to make the meal more filling. I figure if there is a will there is a way. I am going to enjoy what I eat, even though I am trying to lose weight. It is about being aware of what I eat, how much I eat, and when I eat. I can cut back on portions and still be satisfied with my meals.